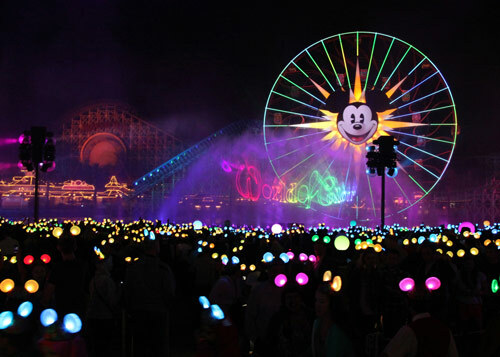 Starting May 22, 2015 “electrifying” new shows will premiere at Disneyland during a 24-hour party that inaugurates the Diamond Celebration, from 6 a.m. Friday, May 22, until 6 a.m. Saturday, May 23, 2015, local time. Best of all that is just the start: Disneyland Resort Diamond Celebration will have Disneyland Diamond Days Sweepstakes and updated attractions such as “Paint the Night” parade, “Disneyland Forever” fireworks spectacular, “World of Color – Celebrate! The Wonderful World of Walt Disney” and new entertainment, dining and shopping Experiences at Disneyland. Along with all the current fun at Disneyland, the new attractions and events will make it even more magical. I received a press release from Disneyland that had so many exciting details, I just had to share it all! Listed below is the press release and pictures to give you just a taste of Disneyland’s sparkling Diamond Celebration. Disneyland Resort Diamond Celebration Adds Disneyland Diamond Days Sweepstakes and Dazzling, New Nighttime Spectaculars Beginning May 22: Resort Remains Forever Young with a Glittering Parade, Street-to-Sky Fireworks Show and a Fun-filled, New ‘World of Color,’ Featuring Neil Patrick Harris and Mickey Mouse. ANAHEIM, Calif. (April14, 2015) – The Disneyland Resort Diamond Celebration begins Friday, May 22, 2015, celebrating 60 years of Disney magic with three new nighttime spectaculars, dazzling decor and an exciting sweepstakes that will award authentic diamonds and one-of-a-kind prizes to some lucky guests. 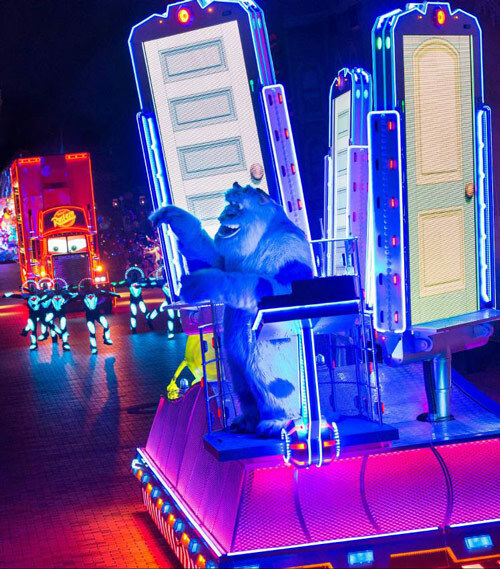 Nighttime will glitter as never before with three, sensational shows that expand the 60-year tradition of innovative and immersive storytelling: the brilliant, high-energy “Paint the Night” Parade and “Disneyland Forever” fireworks spectacular at Disneyland Park, and the all-new“World of Color – Celebrate! The Wonderful World of Walt Disney” at Disney California Adventure Park. In “World of Color – Celebrate!,” Mickey Mouse and award-winning actor Neil Patrick Harris will tell the story of Walt Disney and the Happiest Place on Earth with film, animation, music and spectacular fountains. Disneyland Diamond Days** – an exciting sweepstakes – will award daily and weekly prizes as part of the Diamond Celebration. 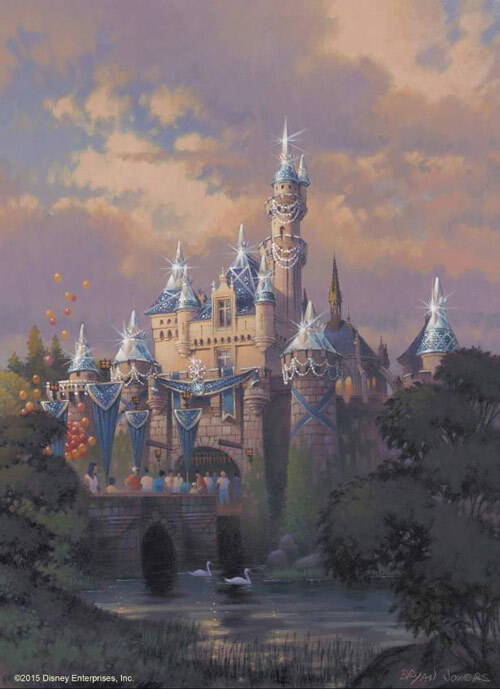 Weekly prizes include a one-carat, authentic diamond, custom engraved for Disney, paired with a stay in the Disneyland Dream suite; a clear, crystal Cinderella slipper, with a diamond-and-topaz pendant, and private experiences in the park such as a party in Fantasyland or a romantic cruise aboard the Mark Twain Riverboat. The available prize will vary each week. Daily prizes also will be awarded during the Diamond Celebration, and each daily prize package for that day includes an individualized tour of the parks with dining, preferred access to select attractions, and VIP viewing at some of the dazzling, new nighttime spectaculars. Daily prize winners must be present on the Disneyland Resort premises at the time of entry and at the time of prize redemption in order to be able to enjoy these special experiences and theme park admission is not necessary to enter or win the sweepstakes. In addition, Mickey Mouse and some of his friends will dress up for the celebration in sparkling, new Diamond Celebration costumes, and the iconic Sleeping Beauty Castle in Disneyland and Carthay Circle Theatre in Disney California Adventure will glisten with gleaming veneer and diamond medallions. To add to the fun, Disneyland attractions undergoing regular refurbishments – Haunted Mansion, Peter Pan’s Flight and Matterhorn Bobsleds – will reopen with new magic added to the classic experiences. “Paint the Night” parade– When the lights go down in Disneyland, the Diamond Celebration illuminates the park with a brilliant, new parade. The luminescent parade creates a river of color flowing down Main Street, U.S.A., with an array of Disney characters and more than 1.5 million brilliant LED lights that flash and glow as Mickey Mouse uses his vivid imagination to “Paint the Night.” With dazzling special effects, unforgettable music, energetic performances, fun surprises and spectacular floats, “Paint the Night” is more vibrant than any parade in 60 years at the Disneyland Resort. Even the choreography glows, as parade performers light up with their props and costumes. Tinker Bell leads the procession in a magical, musical overture, closely followed by a float reminiscent of the giant bass drum that led the “Main Street Electrical Parade.” Lightning McQueen races in with his buddy Mack Truck, who makes a hefty impression at 54-feet long, covered from headlights to tail pipe in gleaming light. Anna and Elsa from “Frozen” glide through the night in a shimmering palace of ice and snow. Guests also will be delighted to see Cinderella, Rapunzel and beloved characters from tales such as “Monsters, Inc.,” “The Little Mermaid,” “Beauty and the Beast” and “Toy Story,” with Mickey and his pals creating a breathtaking grand finale. “Disneyland Forever” fireworks spectacular– The dazzling new fireworks show, “Disneyland Forever,” is a street-to-sky, immersive experience like nothing seen before at the Disneyland Resort. 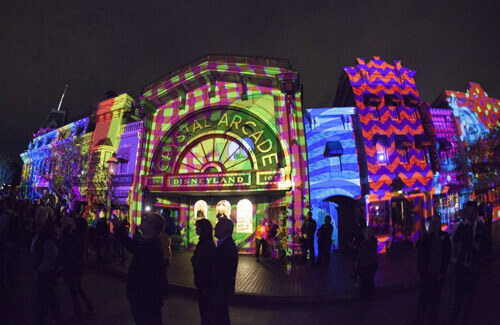 Guests will be surrounded by the worlds of timeless Disney tales, from the tips of their toes to the sky high above, thanks to the largest installation of projection mapping technology in a Disney park and surprising special effects. One minute they will be standing on Main Street, U.S.A., and the next they could be stampeding across Simba’s Pride Lands, dancing with King Louie from “The Jungle Book,” traveling “Under the Sea” with the Little Mermaid, flying over London with Peter Pan, dripping in honey with Pooh in a whimsical dream of heffalumps and woozles, or quivering as Queen Elsa brings a glimmering blanket of snow over Disneyland. For the first time in Disneyland fireworks history, Nemo from the Disney●Pixar animated film “Finding Nemo,” will “just keep swimming” in the skies above Sleeping Beauty Castle, as the Matterhorn is transformed into the fiery peak of Mt. Wannahockaloogie, a special monument from that film. Two original songs enrich the show: the “Disneyland Forever” theme “Live the Magic,” and the inspiring closing song “Kiss Goodnight,” written by another Disney Legend, Richard M. Sherman, and sung by Ashley Brown, star of the Broadway production of “Mary Poppins.” The “stage” for “Disneyland Forever” fireworks will extend from the sky above to Main Street, U.S.A., “it’s a small world,” the Matterhorn and mist screens along the Rivers of America, offering guests a new experience from each location. “World of Color – Celebrate! 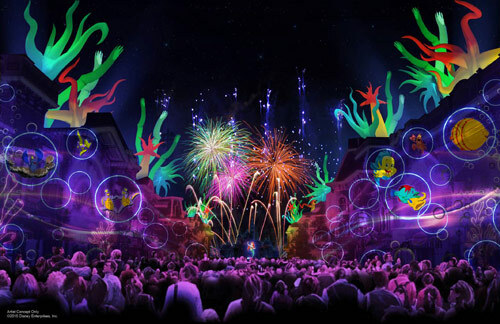 The Wonderful World of Walt Disney” – Award-winning actor Neil Patrick Harris will join Mickey Mouse on a magical water canvas to entertain guests in this fun-filled new presentation of the popular, nighttime “World of Color” spectacular in Disney California Adventure. Both epic and intimate in scope, “World of Color – Celebrate!” brings to life the remarkable story of Walt and The Happiest Place on Earth with animated imagery, live-action film, fountains, lasers, special effects and a stirring musical score. Guests will take an inspirational journey through the unparalleled imagination of Walt Disney, exploring his decades-long legacy of memorable animated moments around the world and the dream of Disneyland Park. “World of Color – Celebrate!” reminds guests that, if they never give up on their dreams, anything is possible. Live music has been a key component of the Disneyland Resort experience since the first performance of the Disneyland Band on July 17, 1955. 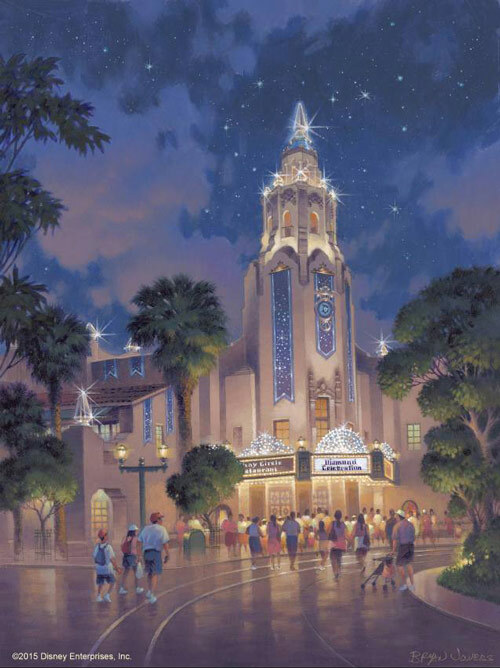 During the Diamond Celebration, guests will be invited to become part of the musical magic, singing, dancing and marching along with resort performers such as the Disneyland Band, Dapper Dans, Red Car News Boys, Straw Hatters and Five & Dime. The after-dark “Mad T Party” will return to Disney California Adventure as a dazzling new “Diamond Mad T Party,” featuring sparkling new decor, interactive fun, dancing and delectable food and drink. Restaurants and food carts in Disneyland and Disney California Adventure will offer new drinks and cupcakes specially created for the Diamond Celebration. Later this summer, drinks will be available in “Made with Magic” sippers which light up to accompany the new after-dark shows. Additional “Made with Magic” merchandise items – newly designed ear hats, wands and paint brushes – also will be available for the celebration. More than 500 special merchandise items have been created for the Diamond Celebration, including apparel, accessories, art, collectibles, headwear, home décor, jewelry, pins, souvenirs, toys and more. They will be available at shops throughout Disneyland Resort, including Disney Showcase and Main Street Emporium in Disneyland, Elias & Co. in Disney California Adventure, World of Disney in the Downtown Disney District and more. 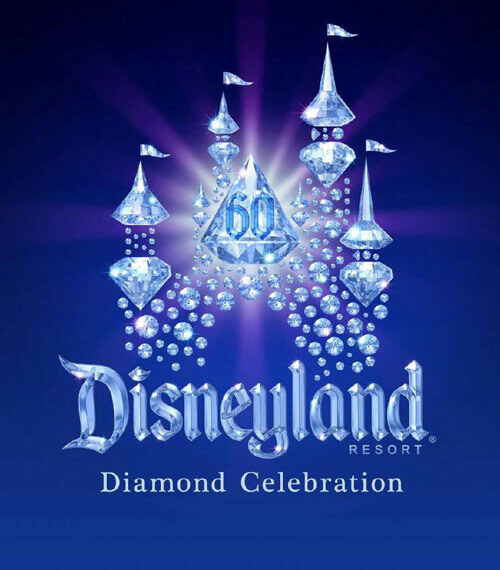 Additional information about the Disneyland Resort Diamond Celebration will be shared in the coming months at www.Disneyland.com and www.DisneyParksBlog.com, and full official rules for Disneyland Diamond Days will be available at www.Disneyland.com/DiamondDays onMay 22, 2015. * Hours of operation: 6 a.m. on 5/22/15 to 6 a.m. on 5/23/15, local time, subject to capacity restrictions. Only select attractions, entertainment and services will be available. Valid theme park admission required. Subject to restrictions and change without notice. ** NO PURCHASE NECESSARY. Void where prohibited. Open to legal residents of the 50 U.S., D.C., Mexico and Canada (excluding Quebec) who are age of majority as of date of entry. Specific prizes to be awarded in the weekly sweepstakes will be announced online atDisneyland.com/DiamondDays the preceding week. Sponsor: Disney Memories, 500 S. Buena Vista Street, Burbank, CA 91521, U.S.A. Note: This is a press update.